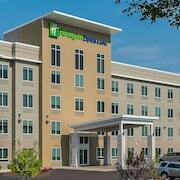 Situated on a lake, this hotel is within 9 mi (15 km) of Woburn Mall, Burlington Mall, and Square One Mall. Tufts University and Witch House are also within 12 mi (20 km). Wakefield Station is 21 minutes by foot and Reading Station is 26 minutes. 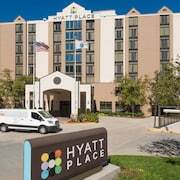 Located in Charlestown, this hotel is within a 10-minute walk of The Freedom Trail and USS Constitution Museum. TD Garden and Museum of Science are also within 2 mi (3 km). Community College Station is 23 minutes by foot and Boston North Station is 22 minutes. 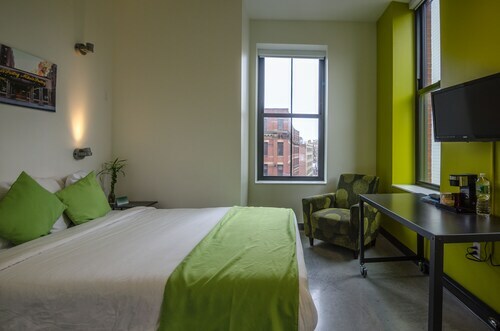 Located in Theatre District, this eco-friendly hostel is within a 10-minute walk of Cutler Majestic Theatre, Boston Opera House, and Boston Common. Boston Public Garden is 0.5 mi (0.8 km) away. Boylston Station is only a 4-minute walk and Downtown Crossing Station is 8 minutes. 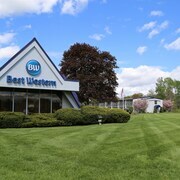 Quality Inn Boston-Revere is conveniently located 7 miles north of Logan International Airport and just 8 miles from downtown Boston. Facing the Public Garden and adjacent to Newbury Street boutiques, this historic hotel was built in 1927, and is 1 block from Boston Common and 2 blocks from the theater district. Formerly the storied Charles Street Jail, this national historic landmark and its newly constructed guestroom tower are located one-third of a mile from Boston Common, and a short walk to Back Bay and Faneuil Hall Marketplace. 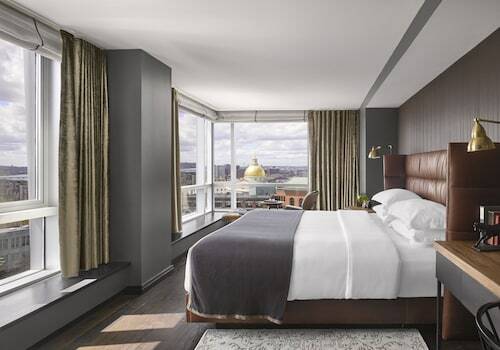 Opened in 1900, this environmentally-friendly Boston hotel is in the historic Back Bay neighborhood, steps from shopping, museums, and Fenway Park. Newbury Street, the Prudential Center, and Hynes Convention Center are within 3 blocks. How Much is a Hotel Room in Boston? 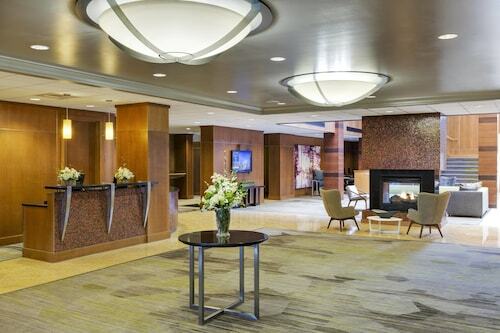 Hotels in Boston start at $73 per night. Prices and availability subject to change. Additional terms may apply. 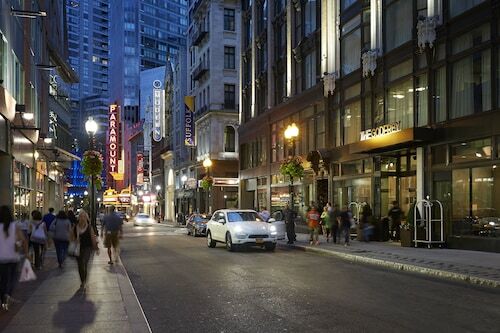 While some may call Boston “Beantown,” in honor of its historic staple, you like to think of the New England city as “The Hub of the Universe” or “The City of Notions.” You’ve pored over the pages of Emerson and Alcott in search of ideas and stories, and you have not been disappointed. Now’s the time to journey to the land that inspired these and other literary greats. Armed with a leather notebook and your favorite pair of wandering shoes, you’re ready to seek out America’s brilliance. 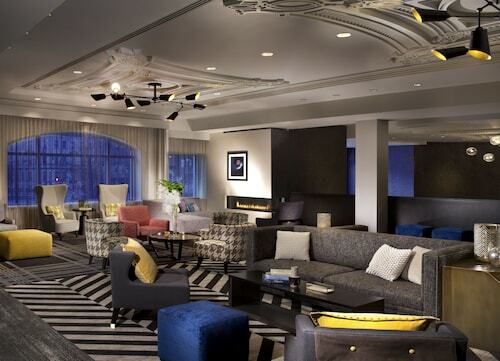 When you find yourself tiring of the powdered wigs of the past, contemporary flair will flourish through your getaway. 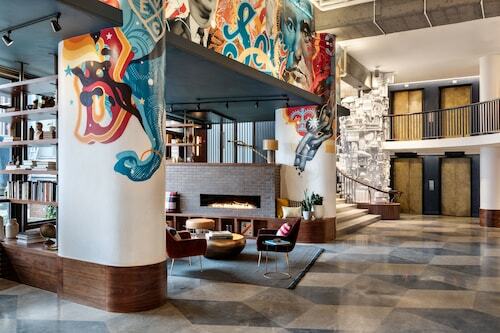 If you’re wondering where to stay in Boston, you’ve come to the right place. 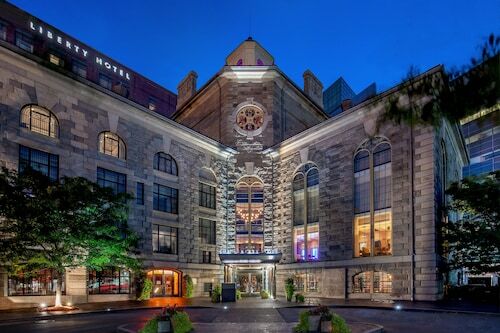 Read on to learn more about Boston hotels in some of the city’s most beloved neighborhoods. Lining the green lawns of Boston Common with marquis and stage doors, the Theater District puts Boston’s performing arts scene right in the middle of the most popular sights and hotels in Boston. 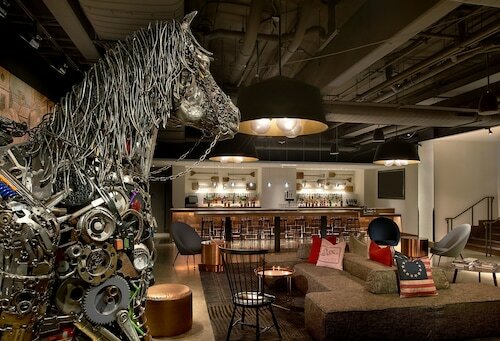 Book one of these lovely digs and you too will enjoy one of the best places to stay in Boston. Step out for a night at the opera, wander over to the nearby waterfront, and bask in the faint harmony of a matinee as you get ready to dine on fine seafood. 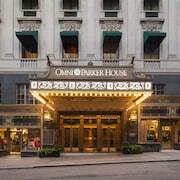 Boston Omni Parker House Hotel: This downtown hotel is on the Freedom Trail and is just a 10-minute walk to the heart of the Theater District. The historic hotel, built in 1855, will impress you with luxurious linens and opulent artwork. Stop for a drink at the hotel bar, which gives you the sense that you’ve stepped into a secret speakeasy. As a smooth whiskey passes your lips, your soul soars and you can hear the whisper of history. 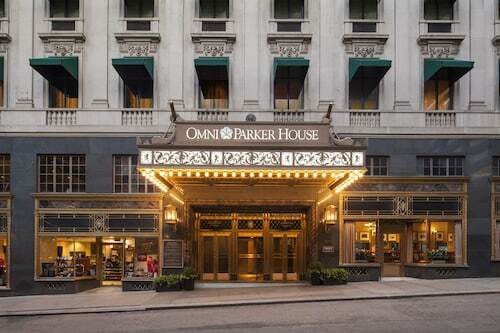 Boston Park Plaza: Feel your worries drift away into the ether. They have no place here. You’re smack dab in the middle of the Theater District and your hotel is teeming with ornate décor and stunning city views. Sink your teeth into some divine “farm-to-fabulous” eats at Off the Common, the hotel’s fabulous restaurant, or get a mouthwatering cheese platter delivered to your room. Yes, you think, Liz Lemon will be proud. You’re working on your night cheese. You’ve always had a soft spot for brownstones and open air concert tunes dancing through autumn leaves, so the Back Bay feels like a home away from home. Victorian houses share the neighborhood with cultural hubs like the iconic public library, and you’re never far from those sparkling water views you love. 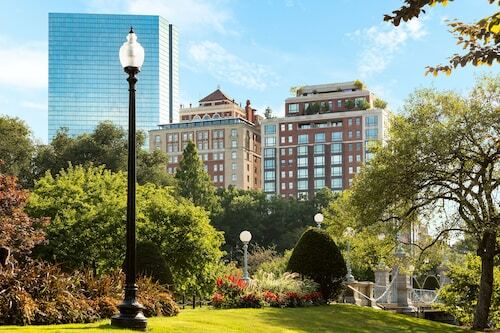 Boston hotel deals in the Back Bay—located west of Boston Common and the Theater District—makes Beantown your oyster, so enjoy the city’s signature chowder while you’re bustling around. 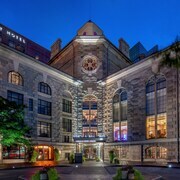 Copley Square Hotel: Travelers have wandered the halls of this boutique hotel since 1891. The shops of Newbury Street are just two blocks away, and you can retire to the hotel’s martini lounge for a night cap. Just be sure to set your alarm, because the hotel hosts a morning power hour between 6 and 7 a.m., where jogging maps, bottled water, and granola bars are waiting in the lobby. Or sleep in and dream of another lovely day wandering along Freedom Trail and sipping tea in Boston Harbor. 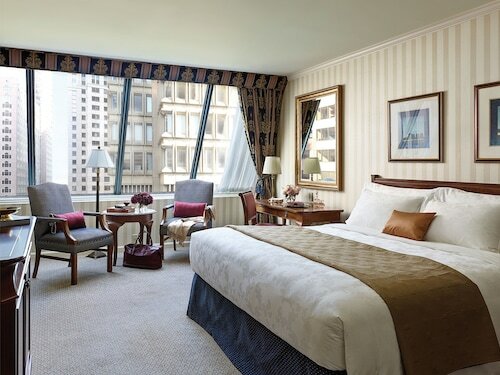 The Westin Copley Place, Boston: You part the curtains in the morning and gaze out at the Charles River. Throwing open your suitcase, you realize you forgot to pack your workout wear. No worries; just ring the front desk and they’ll lend you some New Balance gear in minutes. After your cool down, recover at the Grettacole Spa and later investigate the flavorful Brazilian restaurant. 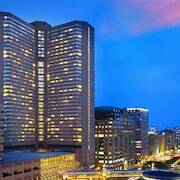 Copley Place Mall is literally attached to this hotel, so take advantage of the shops, but don’t worry about dropping. A pillowtop bed will catch you. You’re ready to walk in the steps of Clara Barton and Benjamin Franklin, enjoy a fresh bowl of chowder, and buy some Red Sox gear for a day at Fenway Park. 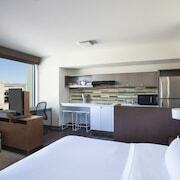 Book one of our cheap hotels in Boston and let your foray into history begin. Don’t forget to pack your monocle. 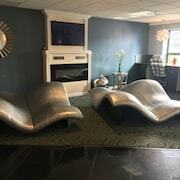 Very nice but, for $300 per night, I expected WiFI that was fast enough for my devices to connect (they ALL timed out because the internet was so slow - even after they had the hotel software engineer try to help me.). Also, the lever in the tub to turn the shower on didn't work so I ended up having to take a quasi-bath. I say quasi bath because the stopper in the tub didn't work - I ended up just kneeling in a dry tub and washing myself with running water. VERY DISAPPOINTING! The hotel was great. You need to allow 15 minutes average travel time from arriving at the lobby to get to the airport train station. It was never a long wait for a courtesy van. Staff and drivers were courteous and friendly. The hotel is incredibly nice. Rooms are small but a perfect size for solo travelers. A couple would fit comfortably as well. The bathroom down the hall concept isn’t an inconvenience at all once you experience it. The bathrooms are still individual and private. 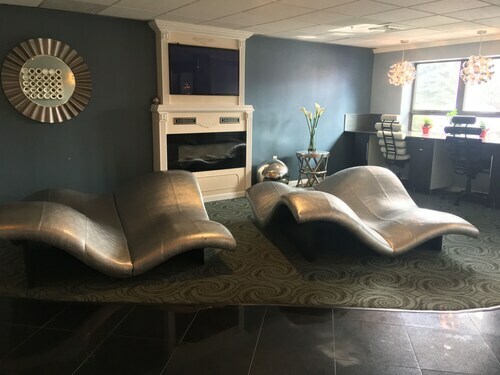 Great location, decor, and overall fantastic place to stay. Will definitely use when I return! valet parking and all staff were great--helpful and friendly. Loved the fresh croissants and continental breakfast. We would come back. Everyone is hospitable, friendly and kind. I enjoyed the doorman’s welcoming attitude after having a frustrating drive in. Many thanks.